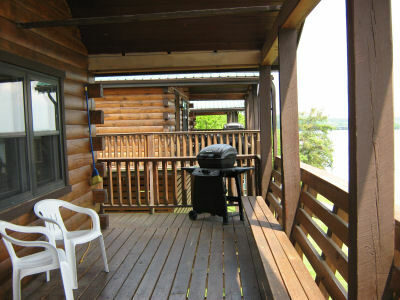 Features fresh towels daily, cabins have 2 bedrooms, one bedroom with queen size bed, one bedroom with two beds, loft has 2 single beds, full bath, beds equipped with linens. 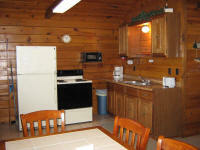 Kitchen and dining area are fully stocked with dishes, cookware, coffeepot, toaster and microwave. 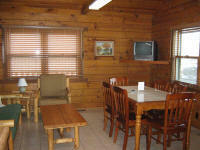 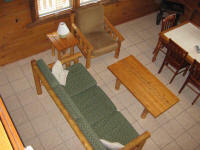 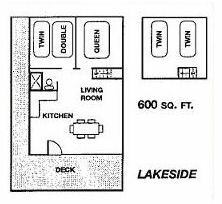 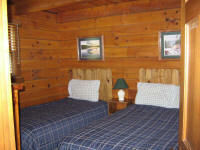 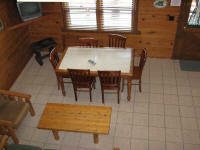 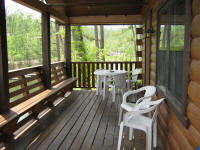 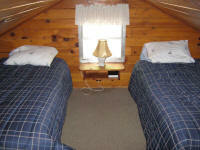 All cabins have cable TV/VCR, AC/Heat, gas grill on furnished lakefront deck and complimentary dock space. 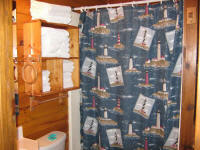 Photos below are clickable.